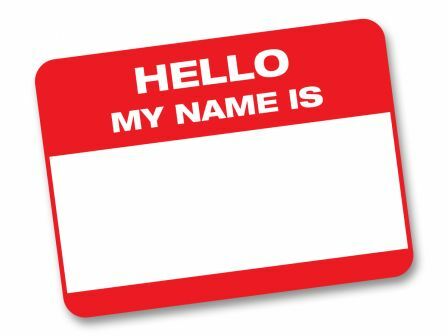 In business your name is one the very first ‘first impressions’ that people see or hear. The name of a business can explain what you do, or it might be something which needs an explanation. It may be something which immediately puts you off or draws you in when you first see it – the same can be said about a logo or a web home page – it is something which makes a connection – or not. Unlike your own name which your parents decide on, your business is something which you get to name. Mum’s The Boss was a name that we came up with 2 years ago – we had a huge list and went through many options before settling on it. We wanted a name that said what we were about – being a mum and being the boss – in our case being in business. We needed it to be directly appealing to the people we wanted to reach – mums – and this has worked really well and we have had a lot of positive feedback. Two years on – and Mum’s The Boss’ audience has grown quite considerably and we now have a slight problem as we sometimes get comments sometimes from people who say ‘I’m not a mum’ or even some men who say they like the sound of what we do and feel excluded. I’m sure there are also women in business who are mums but perhaps steer clear because they want to appear professional when at work and not share chat about children. So we would like to take this opportunity to explain. The ‘Mum’ in Mum’s The Boss is not just literal – she is metaphorical too. She is a person who smiles and shares, she is warm and welcoming, and she doesn’t judge – she is inclusive and supportive. She doesn’t worry about being smartly dressed or having a perfect elevator speech. She doesn’t have to have made 19 referrals since last meeting or feel pressured to attend every meeting or bring a guest. She may be a parent but most importantly she is running a business and understands the challenges that brings. She is someone who wants to meet other business people and ask questions, share ideas and listen to inspirational speakers, but not at 6am or in the evening. She is someone who has made a decision to have a business and a family life and be successful at both without the constant need for compromise. So if you think that you fit the ‘Mum’ profile then you are welcome at Mum’s the Boss, male or female, parent or not. How did you decide on the name of your business? Was it a difficult decision or did the name come easily? Do you think the name of your business has had a positive or negative effect on your success? We’d love to hear your views.